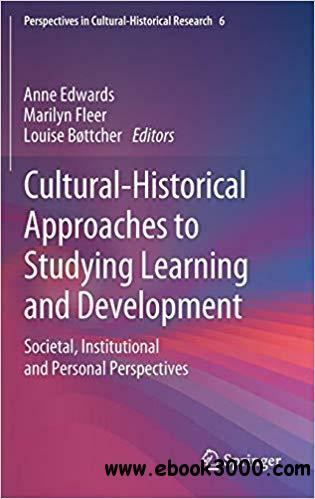 This collection of papers examines key ideas in cultural-historical approaches to children's learning and development and the cultural and institutional conditions in which they occur. The collection is given coherence by a focus on the intellectual contributions made by Professor Mariane Hedegaard to understandings of children's learning through the prism of the interplay of society, institution and person. She has significantly shaped the field through her scholarly consideration of foundational concepts and her creative attention to the fields of activity she studies. The book brings together examples of how these concepts have been employed and developed in a study of learning and development. The collection allows the contributing scholars to reveal their reactions to Hedegaard's contributions in discussions of their own work in the field of children's learning and the conditions in which it occurs.